Choosing the right inverter is crucial. If an inverter is incorrectly specified for a particular solar panel, or is not designed to compensate for shade, then any benefits of one particular solar panel over another will be eradicated. Again it starts with the correct installation design with an inverter matched to your solar panels and the ability to maximise performance when shade or environmental considerations dictate. As with your solar panels we are able to recommend what’s best without the need to ‘push’ one particular brand. Warranties on inverters vary according to manufacturer; ranging from 5 to 12 years as standard, all extendable, but don’t be seduced by long warranties on inferior products. Should you already have a preference or would like price comparisons from us then please just ask. Below are our best sellers with a further list of inverter brands we also supply. Part of the German giant ABB group with their Aurora range. 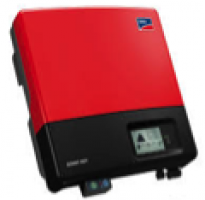 The most versatile inverter in its class and our 1st choice for mitigating moderate shade. A 60 year history of manufacturing in Austria. 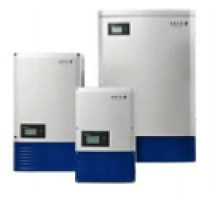 Winner of several product awards, with a wide range of well engineered inverter choices. This German based company is the world’s largest inverter manufacturer, with their excellent Sunny Boy range commanding a premium price. 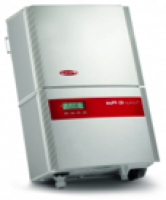 The Photon Solar report scores this Inverter as one of the most efficient on the market. A German made elegant design. Swiss engineering and quality with over 20 years experience. 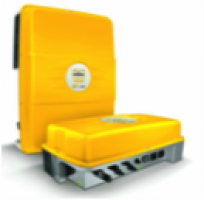 Scalable range with their distinctive yellow branding. 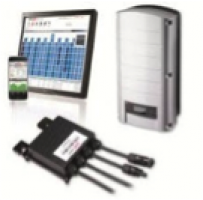 US based market leader in micro Inverter solutions for complex shade challenges with powerful monitoring capability. Pricey but versatile. 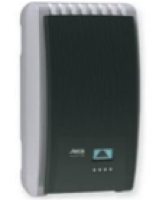 The best of both worlds between micro and conventional inverters for multiple elevations and shade scenarios. The longest standard warranties around.